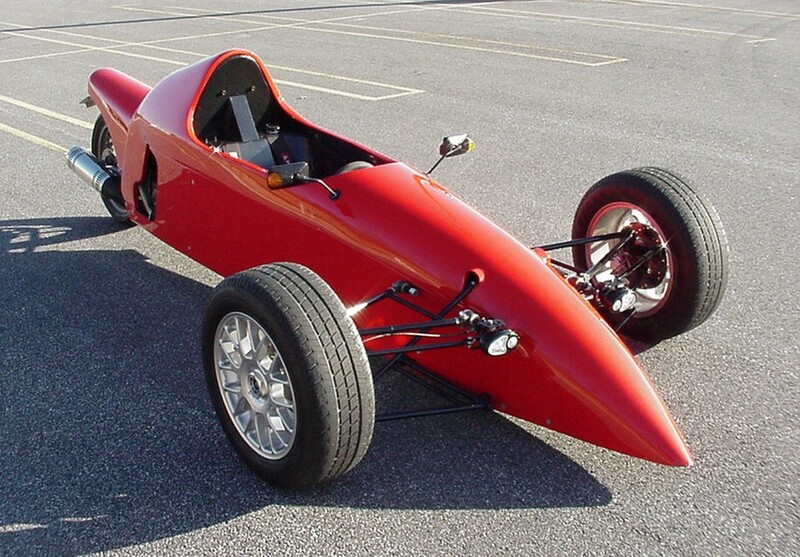 THREE-WHEELER ENTHUSIASTS, UNITE! 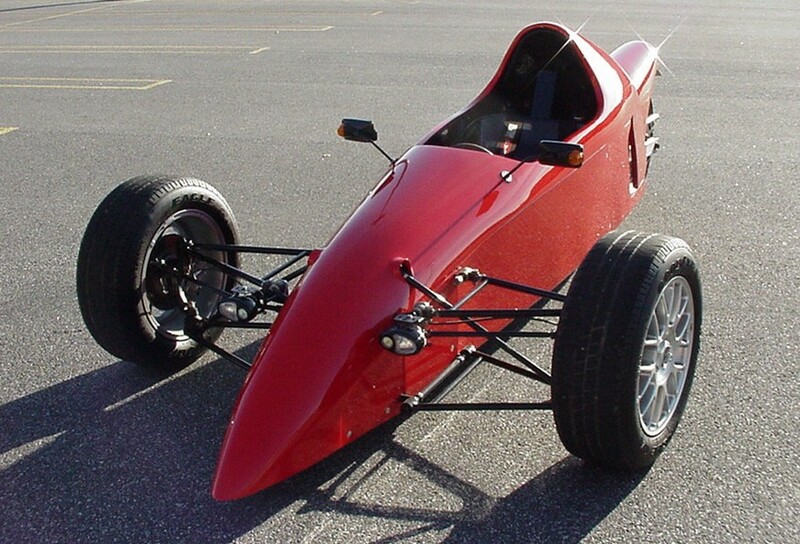 CLICK HERE TO GO TO THE NORTH AMERICAN THREE-WHEELER ASSOCIATION PAGE! 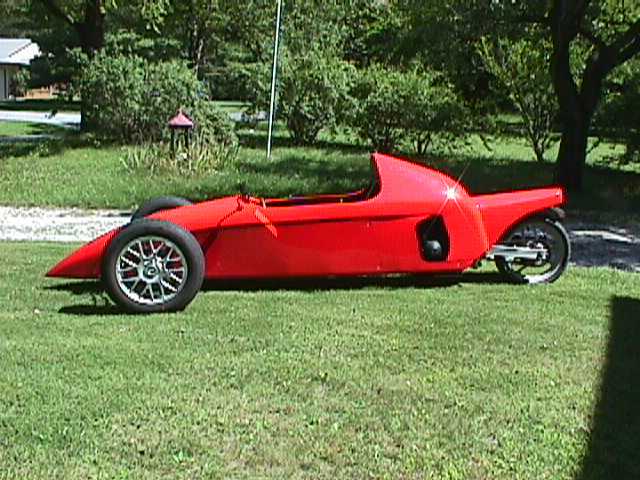 Once I moved up to Baltimore, having a new job and, essentially, a new life, I decided to redesign the Vehicle and rebuild it to more closely match my original intent of an IndyCycle. 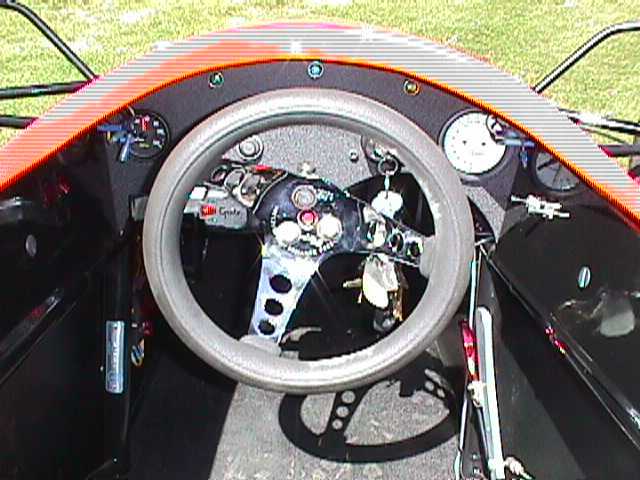 I made several contacts in the area, leading me to a guy named Rob Hamilton, who, with his friend and partner Terry Sinke, builds and races dragsters ( Autofab Race Cars). 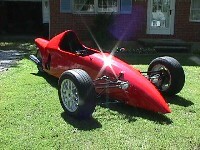 Some nice pictures of the IndyCycle from September 1999, fresh from the shop, ready for the street! 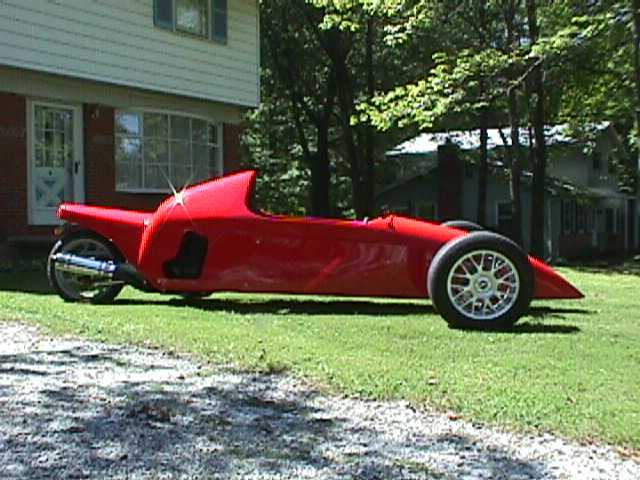 Motor Week did a video shoot of the IndyCycle back in April `00 and showed it locally in September `00. 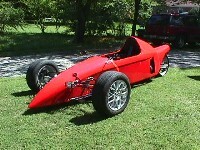 It has been on SpeedVision several times, so keep your eyes open. I will try to get an MPEG of it in action sometime before this winter sets in. 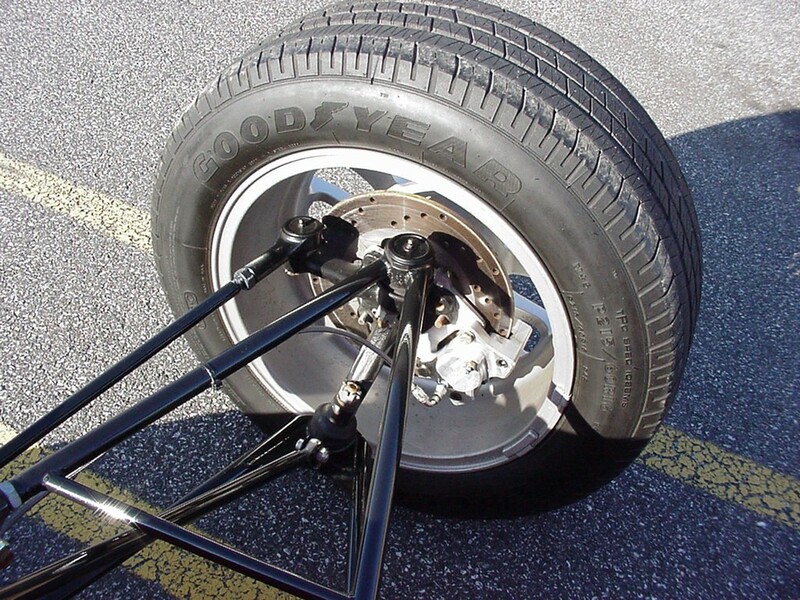 Also, Rob Hamilton (the guy helped guide me on my IndyCycle journey) was on "Junkyard Wars" in the american episode where they had to build a dragster. It doesn't quite compare to actually working with him, but it was a cool episode anyway! Kit Car Magazine caught me at the Carlisle Import and Replicar show on 21 May 2000 and I got a nice black and white pic and first billing on the "Take A Step Outside, Pal" section. I met Harold Pace at the 2001 Carlisle show and we talked for a good bit and he snapped some pics, so keep your eyes peeled on the pages of Kit Car. I have already gotten more exposure from the publishers of the Carlisle Events Magazine and was featured in the Carlisle Import Kit and Replicar show magazine for 2001. Thanks again for a very well written article, gang! 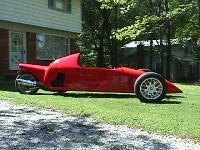 As some of you may already know by now, my IndyCycle is not the only one out there any more. Jim Musser, an engineer and businessman, created his own "IndyCycle" shortly after my design was displayed on the Internet and at car shows. In Early 2001, he e-mailed me and we exchanged phone numbers so that we could communicate more easily. 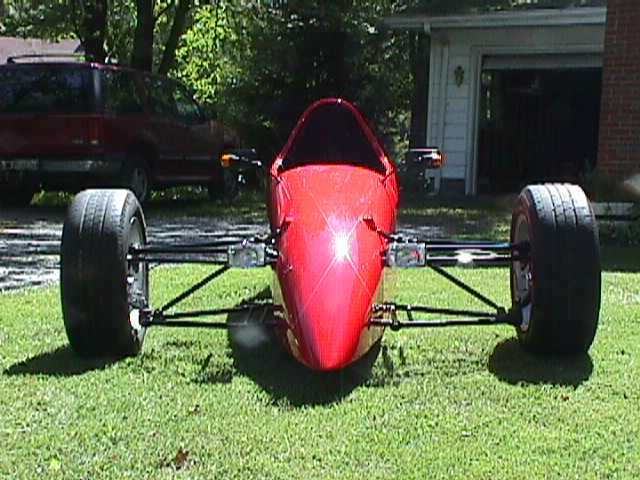 He initially was concerned that I would be making kits and using the name "IndyCycle" on them, but I assured him that my only interest was (and still is) to sell plans for now, and possibly body shells in the future. Later on, he left a message on my answering machine giving me credit for the name itself. He still planned to sell his own kits under he name "IndyCycle" and pursued a trademark of that name at that time. 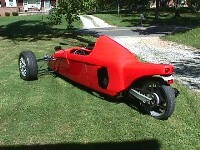 We got to meet at the Carlisle show in May of 2001 and even took a picture of our two IndyCycles together. 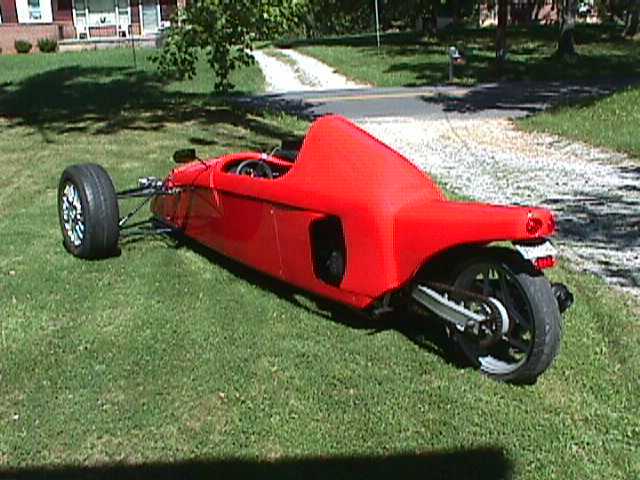 To see his idea of an IndyCycle (which is much easier to put together and have on the street than mine, let me tell you) go to: Jim Musser's SportCycle Link. After looking at his design and mine, please tell me what you think in my guestbook. That's all for now... Keep tuning in occasionally... and thanks for coming!